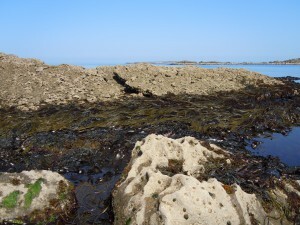 The Irish coastline supports a rich variety of seaweeds (macroalgae) due to our tidal range. Seaweed provides shelter and food for many marine species and is also harvested by humans for food, beauty products, agar and fertiliser. Environmental Impact Assessments and Appropriate Assessments for developments potentially affecting the marine environment will often require the sampling of seaweeds as part of the description of the existing environment. BEC Consultants staff are experienced in carrying out such surveys, often as part of a biotope mapping exercise.